It is very important to hire the right Pearland janitorial services company for your commercial cleaning needs. Combining a company that can offer a top-quality service as well as reasonable rates is extremely important. Call A&T Janitorial (713) 653-3784. With the vast amount of competition in the Pearland janitorial services industry. It’s important that you get a company that can work well for your needs. Be sure to state your cleaning needs. Outlining the cleaning requirements for your Houston-area business. So that you can get a more comprehensive quote. One that ensures that all of your regular operation cleaning needs can be serviced. What Are Your Janitorial Needs? Understanding the needs of your business is important. Make sure that you can get the cleaning solutions that will keep you up and running/ efficient. Before working with a cleaning company. Make sure that they understand the full cleaning requirements that your business has. Without considering your needs, a company may not be able to meet them. If you are leasing as part of a larger building. Make sure that a cleaning company will extend their service to outdoor building premises. As well as offer a service level that won’t inconvenience other tenants in the area. If an experienced cleaning company has performed work in other multi-tenant spaces they will often be able to remove waste and minimize the inconvenience that their services may pose to neighboring businesses. Check expertise: as mentioned before a top Pearland janitorial services cleaning company in Houston is most likely one that has been in business for many years. Check through previous references and ask the level of experience that a company has. You may also want to look into the type of equipment that they have available on hand. With more resources, better cleaning packages at a finer level of experience it possible that a cleaning service in Houston can offer your company more as well as provide a better direct level of service. 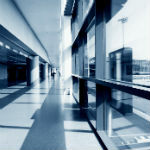 Make sure that a Houston area commercial cleaning service can offer you references. References to their past experience. The ability to speak to past clients as well as information on insurance coverage. Without insurance coverage for their commercial cleaning business. It’s possible that you could be held liable for any potential injuries or mistakes. Minimizing your risk is important. As well as making sure that you are working with a legal company. If a commercial cleaner would like you to sign a contract. You may want to have a lawyer look it over, or at least heavily consider the terms of a contract. Most experienced cleaning contractors will offer fairly standard cleaning contracts. But if a company is just starting out and offering up new contracts this can often lead to issues later on. Consider the price and communication: meet with several different representatives of Pearland janitorial services companies so that you can compare multiple rates. Getting a quality rate on the cost of your commercial cleaning services is important and by checking the price across multiple providers you can balance value of services with the costs. Communication and customer service is an equally important factor and if you don’t find yourself getting along with the representatives or the company you are interviewing doesn’t seem like one you could work with regularly, it’s important to look for other options. Consider A&T janitorial in Pearland Houston Texas as a first option for commercial cleaning services.